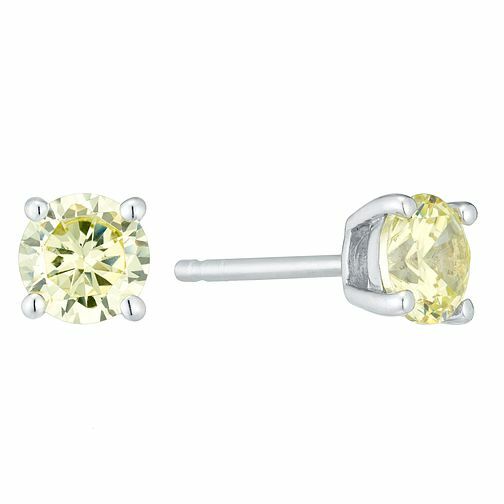 Green Cubic Zirconia stud earrings, August's birth colour, set in a four claw setting. Classic style earrings for every occasion. Sterling Silver Green Cubic Zirconia Stud Earrings is rated 5.0 out of 5 by 1. Rated 5 out of 5 by Anonymous from A stylish colourful product a quality pair of ear rings that did not cost the earth ! !